It is very important to provide mailing files that can be correctly imported into postal software, so CASS address standardization and NCOA (National Change of Address) can update your list accurately. We have a preferred Excel file format, with fields listed that work best. You can download our sample file format here: Morris Generic Excel Mailing File. All data in each Field must be identical. For example, don't put a Business name in a Street Address Field, and it is important that are only two street address fields. Any foreign addresses should have their Country listed in a Country Field. 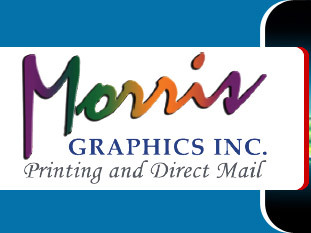 Did you know that Morris Graphics can help you mail for as little as .18 cents per piece postage cost, or even less if you have a postal non-profit certificate? We can print and prepare your Every Door Direct Mail to go to every resident or business in a Carrier Route to help you get more clients. Did you know that if your mail piece is 6" x 11" it can mail at the presorted letter postage rate, but if it is 6.5" x 11" it will mail as a "flat" and cost you more in postage? There are many other specifications that can cost you extra postage. It is best to check with Morris Graphics prior to designing your mail piece. We can help get you the most cost effective postage rate. Did you know if your postcard is 4.25" x 6" it can be printed on 7 point thick paper, but if it is 4.5" x 6" or larger it requires a thicker paper to be acceptable by the USPS for mailing? Don't risk having your mailing rejected by the Post Office by using a printing company who isn't familiar with current postal regulations. Did you know that a folded mailer must be designed to open at the top? If it opens at the bottom it can't be mailed and will be returned to sender. Also, if your folded self-mailer is longer than 10.5" there is a significant postage penalty. A simple design change can save you the aggravation and cost of your mail being rejected by the Post Office, or higher postage rates. Morris Graphics can help you get the most out of your direct mail budget. 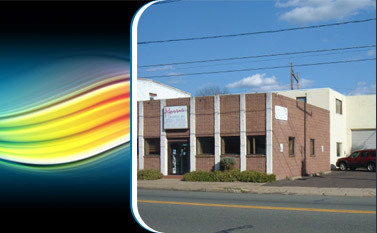 From cost effective printing to reliable mail processing we can be your partner in your direct mail campaign. Did you know that over 40 million residents and 2.3 million businesses change their address every year, and Morris Graphics has that information available for you? Our up-to-date, four year National Change of Address (NCOA) database, with over 160 million corrected addresses, can update your mailing list to make your mailing more accurate and cost effective. Mailing lists are required to be updated with current move data within 95 days of mailing to get postal discounts. Did you know that Morris Graphics can work with your existing list and CASS, PAVE and DPV encode it to USPS specifications to help you get the maximum postage discounts? Did you know that Morris Graphics can supply you with a mailing list of new prospects? Whether you sell to homeowners or Business-to-Business, we can provide a residential or business list based on your criteria for new clients. You pick your prospective clients and we most likely can supply a list for you. Motorcycle owners? People into physical fitness? Household incomes over $100,000.00? Pet owners? People who just moved into your area? Copyright © 1998 - 2019 Morris Graphics Inc. All Rights Reserved.